Enjoy seating that can get you through long projects comfortably with this Steelcase Please Swivel chair . 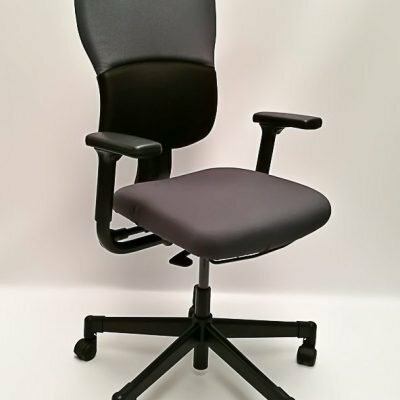 This is an elegant, functional chair with maximum support in lumbar, chest and neck area. Mechanism with two-part backrest which can be adjusted individually. The upper and lower back are supported independently. Not only stylish and comfortable, this chair is also a great value, making it perfect choice for your home or office. To see more of our seating products, please click here. For more offers and to stay up to date with all the latest news, check out our Facebook page here. Major used office furniture dealers. We deliver and fit nationwide. Large selection of both new and used office furniture. Visit our impressive showroom today! 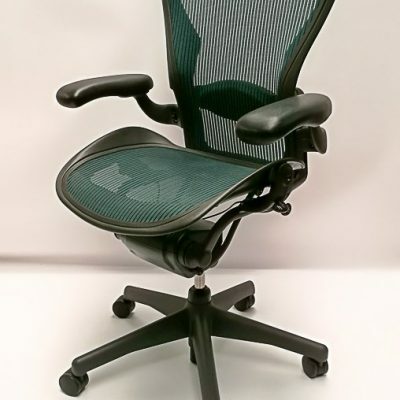 Specialist in Herman Miller Aeron Chairs. We also offer self-storage units for rent. We are located in Moydrum Business Park, Athlone, Co. Westmeath.